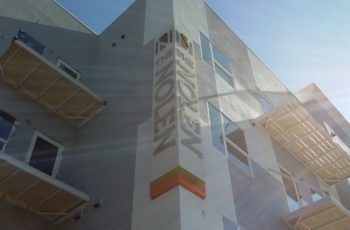 Through the development of the signage and the project management of the production and installation, our Creative team continued to partner with Incore, who manages this property. 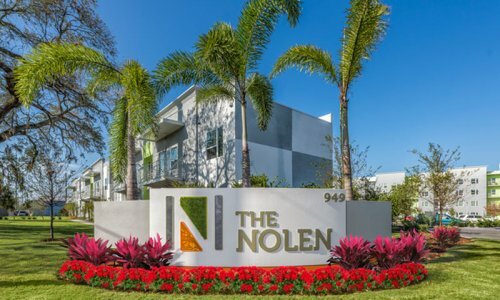 The signage for The Nolen captures the simple, clean architectural style and colors of the community while paying tribute to John Nolen, a revered landscape architect. 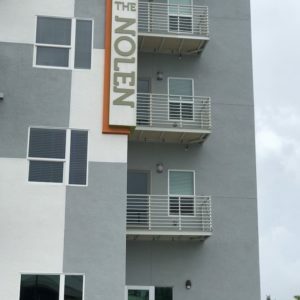 Mr. Nolen’s vision helped shape the unique character and appeal of the Clearwater community. 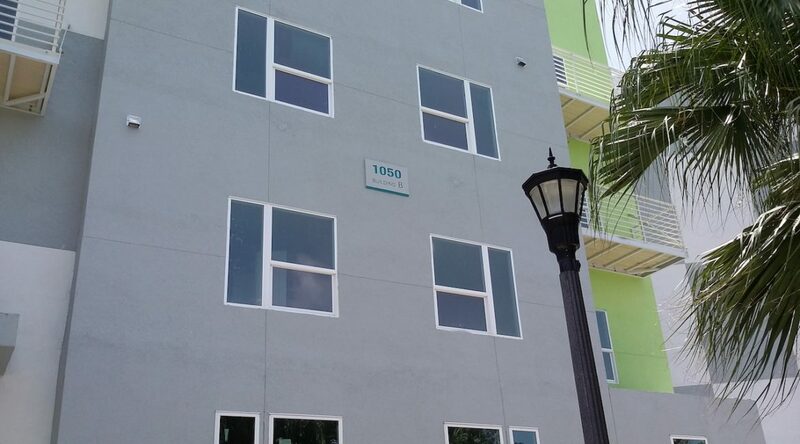 The scope of the project included a curved monument, 2 building corner signs, over 250 unit id signs, amenity signs custom to this property, and regulatory signage. 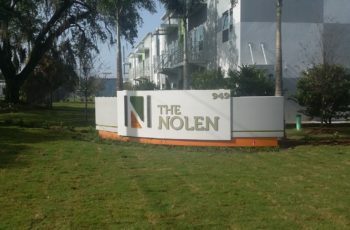 The smooth finishes and simply shaped elements of the curved monument are highlighted with dimensional identity lettering and a unique selection of natural materials embedded into the elements including native grasses, stone veneers, metal, and slate. 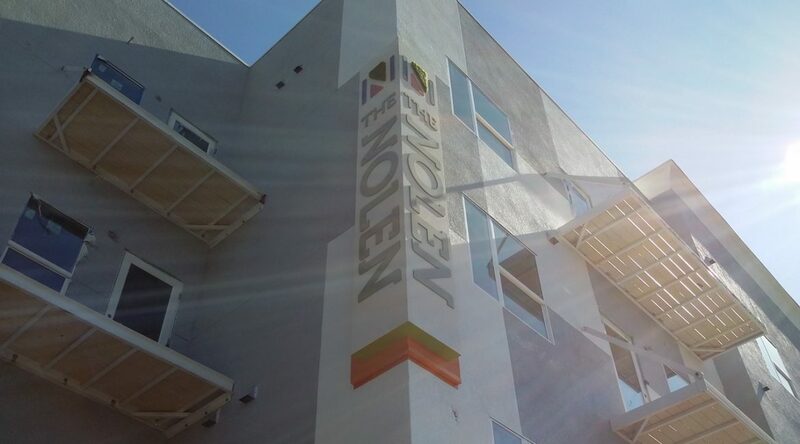 The corner building signs are vertically positioned. 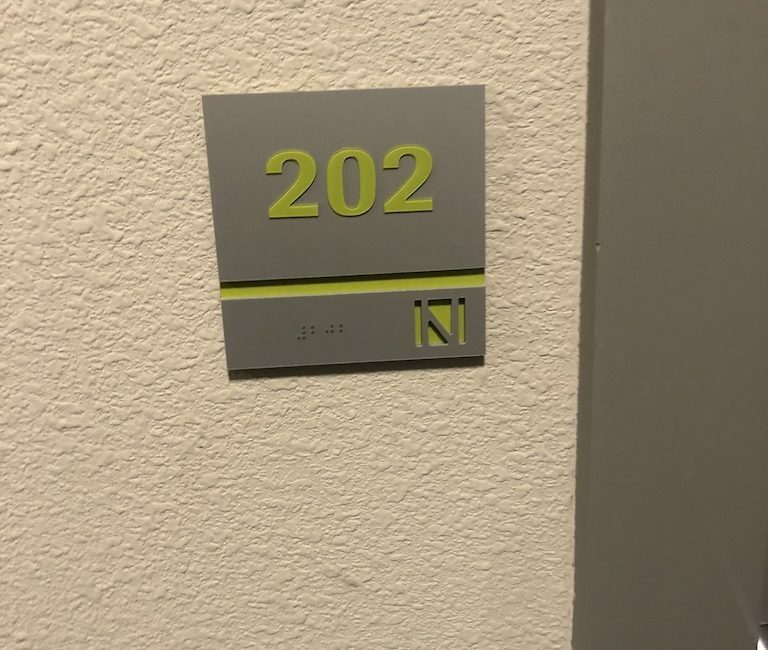 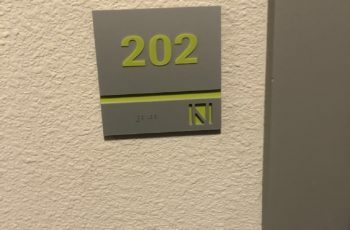 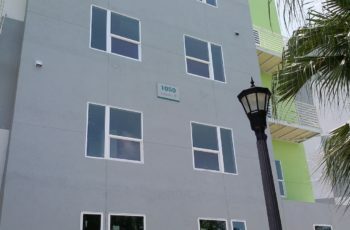 Interior signs are acrylic backed and color-coded according to match each building’s paint scheme. 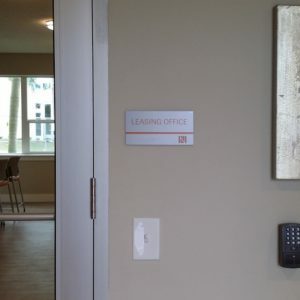 In addition, Creative provided custom rules signs for the fitness center, pool, grill, dog park and trash compactor.